Zoom into RZ Piscium, a star about 550 light-years away that undergoes erratic dips in brightness. This animation illustrates one possible interpretation of the system, with a giant planet near the star slowly dissolving. Gas and dust intermittently stream away from the planet, and these clouds occasionally eclipse the star as we view it from Earth. The team’s ground-based observations revealed the star's surface temperature to be about 9,600 degrees Fahrenheit (5,330 degrees Celsius), only slightly cooler than the Sun's. They also show the star is enriched in the tell-tale element lithium, which is slowly destroyed by nuclear reactions inside stars. 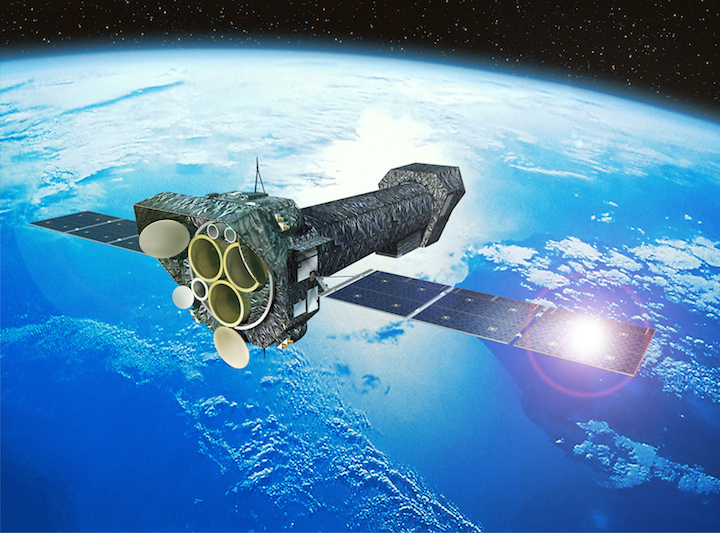 ESA's XMM-Newton observatory was launched in December 1999 from Kourou, French Guiana. NASA funded elements of the XMM-Newton instrument package and provides the NASA Guest Observer Facility at Goddard, which supports use of the observatory by U.S. astronomers.